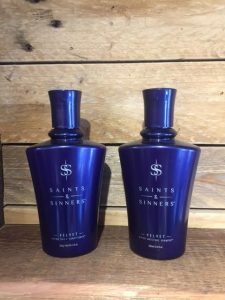 Saints’s & Sinners Divine Moisture Shampoo & Conditioner is designed to improve the health of damaged hair for smoother texture & appearance. This 100% vegan & cruelty free product is formulated with ingredients that are full of beneficial nutrients for manageable strands that shine! Avocado Oil- Moisturize, Repair, & Strengthen. Avocado helps prevent hair from breaking & fights hair loss. 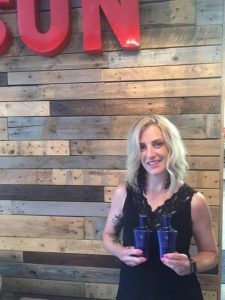 Keratin Amino Acids- Keratin Amino Acids are a powerful moisturizer that, because of their small size & similar composition to hair, can penetrate the shaft, enhancing its conditioning effects. Hair that has suffered cuticle damage due to the hair’s increased porosity will receive this powerful moisturizer, improving sheen. Emulsify and massage throughout damp hair. Rinse, repeat as needed. Follow with the complete range of Saints & Sinners products for optimal results! 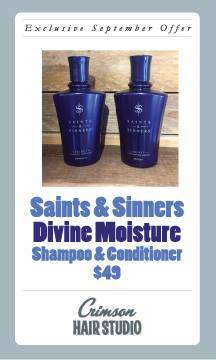 This Product Review: Saints & Sinners is for their Divine Moisture Shampoo & Conditioner! Please send any feedback of the products & we will share!